Well, this seems like the easiest place to introduce myself to everyone and hopefully get new friends. 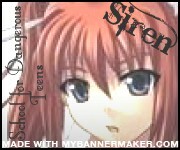 ^_^ My name is Reina, Rei for short, and ive been roleplaying for five years now. Though i did take break for awhile and my skills may be a little rusty right now. I've missed to joy for rp and have found this interesting site to begin again. Thanks for the welcome. I do have one question at the moment. I was looking through the rp section and i just want make sure im putting my pro in the right spot. I rp a farie so would i put that in the hybrid section? Since many people aren't on right now i figure ill wait to start actually rping but i wanted to at least get my pro up. Very nice to meet you and thank you for joining Once Bitten! I'm Toby the Head Alpha. Its nice to hear that you have experience Rping, but if you're still confused on anything please don't be afraid to ask! But for anything fantasy would go into the Fantasy Galaxy. Again, its a pleasure to have you on the site. I feel like a blonde. I just saw that link. ^_^ Guess i'm still getting used to all the links. Thanks for the welcome and for answering my question. and w're only making more!! Lol don't worry about it it does take some getting used to. My name is shadow1993 but i go by shadow. its nice to see you joining our site. i am the omega of this site so feel free to ask me any questions you may have. and dont worrie once school starts up this site will have alot more players get on. and please do join some rps and feel free to make your own. The name's Kate by the way. Hope you love it here. Subject: Re: Hi, new to this site.